They may have been extinct for millions of years, but visitors to a Midlands park can still expect a major shock or two this summer. 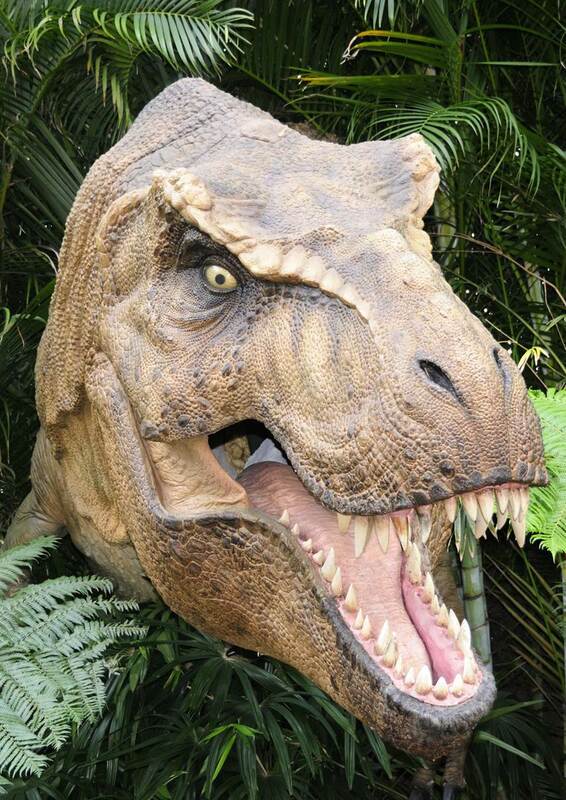 Life-size dinosaurs are to make a surprise appearance in Dosthill Park in Tamworth when open-air theatre comes to the community location on Sunday 16th July. Award-winning open-air theatre company Illyria will be performing Sir Arthur Conan Doyle's The Lost World on a specially created outdoor stage in Dosthill Park from 3pm. And complete with the production, which follows two successful seasons of outdoor theatre in the park in Blackwood Road, Tamworth, will be a number of authentic looking dinosaurs. Touring theatre company Illyria has proved itself popular with audiences in Tamworth and across the region, having performed in the area many times during the past 25 years. The story of The Lost World describes four explorers, led by the redoubtable Professor Challenger, who travel to South America following a few vague directions scribbled in a sketch book. There they discover natural beauty beyond their wildest dreams, but find themselves involved in tribal warfare between ape-men and humans while also encountering terrifying dinosaurs. But when their camera is destroyed in an accident, what evidence can they produce to prove that all these amazing creatures really exist? So, the intrepid explorers have to somehow bring home live specimens in 'unbreakable' crates in order to reveal their amazing find to the people of London? The Lost World, which is recommended for older children and their families, lasts for 1 hour 50 minutes including a 20 minute interval. Gates at Dosthill Pak open 45 minutes prior to the performance which starts at 3pm. Audience members are invited to bring picnics and blankets but are asked not to take glass, gazebos or alcohol on site. Refreshments will be available to purchase within the park. Tickets are priced at £9, £6 concessions, or £25 for a family ticket based on two standard and two child tickets. Children under the age of two get in free of charge but still need a ticket. All tickets must be booked in advance as there will be no door sales on the day. Tickets are available from the Tamworth Arts and Events website or in person from Tamworth Information Centre in Marmion House, Lichfield Street, or by calling the Box Office on 01827 709618. A transaction fee of £1 is payable on all online and telephone bookings. Why? Life Size Dinosaurs In Your Local Park - What Else?